RALLY at the San Francisco Federal Courthouse while the four CA Prisoner Hunger Strike and Ashker Class Representatives ‘Meet and Confer’ with CDCr to address the continuing solitary conditions that violate the Ashker lawsuit settlement agreement. The four prisoner hunger strike representatives will be present in the courtroom, an historic presence! Help create a strong show of solidarity with prisoners fighting for human rights! What’s going on? The prisoner class-led movement and the Ashker v. Gov of CA class action lawsuit resulted in the release of over 1400 people from solitary confinement Security Housing Units (SHUs) to what the CA Department of Corrections (CDCr) calls “General Population.” However, many of those people continue to be subjected to conditions of extreme isolation. With little to no out-of-cell time and no chance for social interaction, they are still in SOLITARY CONFINEMENT. The Ashker Plaintiff class reps and legal team were ordered to meet and confer* with CDCr lawyers to explore a resolution of these two issues. The four prisoner hunger strike representatives- Sitawa Nantambu Jamaa (Dewberry), Todd Ashker, Arturo Castellanos, and George Franco- will be present in the SF courtroom. EMERGENCY ACTION ALERT: Demand CA Dept. of Corrections Release Drafters of the Agreement to End Hostilities from Solitary Confinement! In October, 2017, the 2 year court monitoring period of the Ashker v. Governor settlement to limit solitary confinement in California expired. Since then, the four drafters of the Agreement to End Hostilities and lead hunger strike negotiators – Sitawa Nantambu Jamaa, Arturo Castellanos, George Franco, and Todd Ashker, have all been removed from general population and put in solitary in Administrative Segregation Units, based on fabricated information created by staff and/or collaborating “inmate informants.” In Todd Ashker’s case, he is being isolated “for his own protection,” although he does not ask for nor desire to be placed in isolation for this or any reason. Sitawa has been returned to population, but can still not have visitors. As a result of the administrative reviews established after the second prisoner hunger strike in 2011 and the Ashker settlement of 2015, California’s SHU population has decreased from 3923 people in October 2012 to 537 in January 2018. Returning these four men and many other hunger strikers back to solitary in the form of Ad Seg represents an intentional effort to undermine the Agreement to End Hostilities and the settlement, and return to the lock ‘em up mentality of the 1980’s. CDCr officials are targeting the Ashker v. Governor class members to prevent them from being able to organize based on the Agreement to End Hostilities, and to obstruct their peaceful efforts to effect genuine changes – for rehabilitation, returning home, productively contributing to the improvement of their communities, and deterring recidivism. Download and PRINT this 1-Page Emergency Action Alert. As many are aware, our current collective movement began in the bowels of Pelican Bay State Prison – SHU – Short Corridor, wherein prisoners of all races and various geographical areas, became openly conscious of what we had in common- rather than what was different (divisive); we recognized we’d all been subjected to the same adversary’s boots on our necks, all members of a prisoner class subjected to decades of solitary confinement torture. As a committed collective of fellow human beings (a large majority hailing from working class, poor communities) we lead our struggle — from behind the walls – putting our lives in the balance… at that point, our lives being all we had… We demanded an end to our torture, based on our inherent right – as human beings – to humane treatment, inclusive of dignity and respect for ourselves, our loved ones, and the unfortunate generations to follow. Notably, our collective membership had been the subject of the states’ decades-long ‘war against the working-class poor, tough-on-crime’ (focused and applied mainly upon the poor), politicized, vilified, and branded as “The Worst of The Worst” in order to justify our subjection to endless torture (lasting more than 30 years)! In this climate, we came together and utilized non-violent, peaceful protest action, mass hunger strikes and work stoppages, which, together with the support of our awakened loved ones, and countless other people of conscience outside the walls (while all along, suffering with us), exposed our plight to the world community. In 2012, we introduced our collective “Agreement to End Race-Based Hostilities,” making clear our united intent to no longer be the source of our mutual adversary’s manipulation tactics – centered on keeping us divided and violent towards one another, (thereby used to justify our adversaries agenda – supermax, indefinite warehousing); and thereby demonstrating our humanity in the face of the provocations of our oppressive torturers. We pointed out the fact that, in the absence of race-based violence, our mutual adversary/s would be forced to end their policy of warehousing us in the small cells indefinitely, and open the prisons up for meaningful programming and privileges- beneficial to the prisoner class. Our adversaries are constantly resisting any change beneficial to the prisoner class! History demonstrates the importance of our need to stand together collectively, and refuse to allow those in power (at the will of the People) to halt our progressive movements’ demands for human rights and real justice, because, historically, every class action, civil-suit ‘victory’ for the prisoner class in California has been manipulated by prisoncrats to the ultimate detriment of those that such ‘victory’ was intended to benefit. It’s a non-stop battle! What I greatly appreciate, and respect, about our Prisoner Class Human Rights Movement, is what I hope is our part in society’s evolutionary leap in collective human consciousness. Standout examples of this for me, go back to the Arab Spring (2010, I believe), followed by the August 2010 massive Georgia Prison, system-wide work strike, and the January 2011 Hunger Strike at Ohio State Prison. Reflecting on the above, as well as our historic, collective group mass hunger strike protests across the California system, of 2011-2013, brings to mind an often quoted phrase (as a sort of benchmark of what’s wrong with society) that of Fyodor Dostoyevsky, reflecting on his own incarceration, famously said, “The degree of civilization in a society can be judged by entering its prisons.” Our collective coming together in the context of having been demonized – tortured over 3 decades – composed of working class poor, facing extreme adversity for a powerful, well-funded adversary… toppled (to an extent- losing their supermax jewel, PBSP SHU) by our peaceful protests, and related Global Condemnation (and litigation), epitomizes a great side of our society! I hope it’s an example of a growing social revolutionary process. Related to the above, and to our common struggle in general, I want to share a few excerpts from The Zinn Reader, a bit of food-for-thought. We need everyone- prisoners, their families and the public – to send comments on CDCR’s proposed regulations to staff@aol.ca.gov, send emails and letters urging Gov Brown to sign Assembly Bill 1308*, make sure that prisoner complaints about unfair treatment are publicized, and to work together to rebuild our prisoners human rights movement. California Department of Corrections and rehabilitation (“CDCr”) has systemic and dysfunctional problems that run rampant state-wide (within both Cal.’s Women and Men prisons), which demand this California government to take immediate action and institute measures to effect genuine tangible changes throughout CDCr on all levels. During the historic California Prisoners’ Hunger Strikes (2011-2013), tens of thousands of men and women prisoners in CDCr’s solitary confinement torture prisons, as well as a third of the general population prisoners, united in solidarity in a peaceful protest to expose this dysfunctional system officially reported in 2004 by the CIRP. We are beacons of collective building, while clearly understanding that We, the beacons, must take a protracted internal and external retrospective analysis of our present-day prisons’ concrete conditions to forge our Prisoner Human Rights Movement (PHRM) onward into the next stage of development, thereby exposing California Department of Corruption and Repression (CDCr)/United States Prison System of Cultural Discrimination against our Prisoner Class. This is why our lives must be embedded in our determined human rights laws, based on our constructive development of the continuous liberation struggle via our scientific methods and laws. Therefore, through our Prisoner Class, the concrete conditions in each prison/U.S. 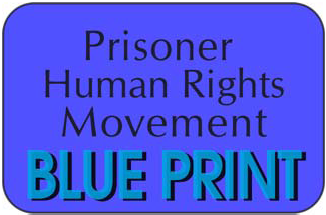 prisons shall be constructed through our Prisoner Human Rights Movement. This settlement represents a monumental victory for prisoners and an important step toward our goal of ending solitary confinement in California, and across the country. California’s agreement to abandon indeterminate SHU confinement based on gang affiliation demonstrates the power of unity and collective action. This victory was achieved by the efforts of people in prison, their families and loved ones, lawyers, and outside supporters. Our movement rests on a foundation of unity: our Agreement to End Hostilities. It is our hope that this groundbreaking agreement to end the violence between the various ethnic groups in California prisons will inspire not only state prisoners, but also jail detainees, county prisoners and our communities on the street, to oppose ethnic and racial violence. From this foundation, the prisoners’ human rights movement is awakening the conscience of the nation to recognize that we are fellow human beings. As the recent statements of President Obama and of Justice Kennedy illustrate, the nation is turning against solitary confinement. We celebrate this victory while, at the same time, we recognize that achieving our goal of fundamentally transforming the criminal justice system and stopping the practice of warehousing people in prison will be a protracted struggle. We are fully committed to that effort, and invite you to join us. After decades in solitary they joined forces. Here’s what happened. The article appeared in print on August 4, 2015, on page D1 of the New York edition with the headline: Punished for Life. In 1993, Craig Haney, a social psychologist, interviewed a group of inmates in solitary confinement at Pelican Bay State Prison, California’s toughest penal institution. He was studying the psychological effects of isolation on prisoners, and Pelican Bay was among the first of a new breed of super-maximum-security prisons that states around the country were beginning to build. Twenty years later, he returned to Pelican Bay for another set of interviews. He was startled to find himself facing some of the same prisoners he had met before, inmates who now had spent more than two decades alone in windowless cells. “It was shocking, frankly,” Dr. Haney said. 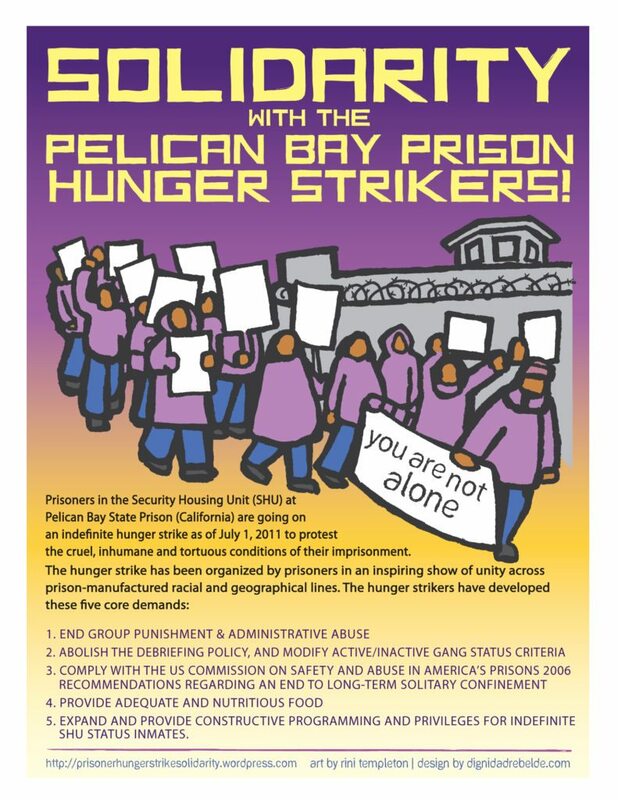 Four years ago prisoners in California – led by those in the control units of Pelican Bay – organized a hunger strike to demand an end to the torturous conditions of solitary confinement. Two more strikes would follow, with over 30,000 prisoners taking united action in the summer of 2013—both in isolation and in general population in nearly every California prison. The strikes reflected significant shifts in political consciousness among prisoners and their loved ones. The violence of imprisonment was further exposed by demands and heightened organization from within the cages. Prisoner-led collective actions as well as growing public support dramatically have changed the political landscape. The organization of hunger strikes in 2011 surprised many, especially the CDCr – the California Department of Corrections and Rehabilitation (the lower case ‘r’ by most prison writers derides the Orwellian use of the word rehabilitation), the media, and much of the public. Current prison organizing continues a historic legacy of struggle. Among prisoners, the strikes of 2011-2013 were compared to the Attica Rebellion of 1971. Shortly before that rebellion, prisoners at Attica refused to speak or eat in the facility’s chow hall, paying tribute to Black Panther Party member and California prison movement leader George Jackson, who had been assassinated at San Quentin prison August 21st. Jackson was a skilled and effective leader who connected the human rights demands of prisoners to revolutionary ideas both globally and in the streets. He argued with powerful clarity that racist and exploitive power relations could and should be changed through political and military struggle, and that Black liberation was achievable as part of an international struggle to destroy imperialism. Within the prisons, he built unity across racial lines – thinking that a unified prison movement could succeed in winning basic human rights both within the cages and in oppressed communities. While the state obviously found Jackson’s ideas and example extremely dangerous, many prisoners and community members found them a clarion call for action. On September 9th 1971, Attica erupted. Led by prisoners affiliated with the Nation of Islam, the Black Panther Party, the Young Lords, and the Five Percenters, the rebellion seized control of several large areas of the prison and issued a manifesto demanding, among other things, better health conditions, an end to political persecution of prisoners, and a right to organize or join labor unions (these demands were very similar to the Folsom Prison manifesto written in California in 1970). After four days of negotiations, New York Governor Nelson Rockefeller ordered that the prison be retaken – in the ensuing brutal military assault 39 people were killed by state police and prison guards. While Attica is one of the most remembered uprisings, between the late 1960s and the early 1980s, there were over three hundred prison rebellions across the US, including those at the Oklahoma State Penitentiary in 1973, the Idaho State Penitentiary in 1972-3, the August Rebellion in 1974 at Bedford Hills Correctional Facility for Women in New York State, a 1975 demonstration at the North Carolina Correctional Center for Women, and the Penitentiary of New Mexico in 1980. In response to these militant uprisings, prisons developed unprecedented strategies of repression, isolation and for a time resistance took less dramatic forms. Yet prisoners were still inspired to resist. In one example, in 1995 women in CA state prisons initiated a class action law suit against genocidal health care conditions and successfully organized family members and allies across the state to support them.